We’re delighted to welcome Karin Schimmelschulze, Managing Director of German Advantage, as a regular guest blogger. In this article, Karin discusses culture coaching for exporters targeting overseas markets. Most of us would know the famous and hilarious scene in Fawlty Towers where the inimitable and incredibly long-legged John Cleese does his famous walk and goes on about ‘don’t mention the war’. A regular question during culture coaching is about topics that people think should be carefully avoided, circumvented, ignored and basically buried like the past. Four spring to mind: the war, politics, religion and financial situation. 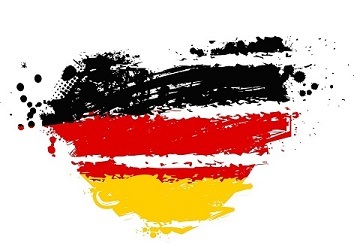 German history is – excuse the pun – a minefield but so is the history of any other country. Not a single nation will have an unblotted history book, the question is how we deal with it. Two considerations will allow you to be safe with any topic: respect and knowledge. You need to have knowledge of the history of another nation to be able to make valid comments. Especially with the very German trait of efficiency and ‘Ordnung’ (orderliness), knowing facts instead of guessing and insinuating is important. Of course you can ask respectful questions in order to gain this knowledge, but passing comment and stating an opinion based on not much will not go down well. The point is, when we talk about German history we mean one chapter and one chapter only: the Third Reich. How many know why it was called the Third Reich? ‘Reich’ translates into ‘empire’. The Roman Empire was the first, the Ottoman Empire was the second and Hitler’s idea was to create a Third Reich. The intriguing thing with history is that we get stuck on this dark chapter. But what about 1871 when the federal state of Germany first came into existence? What about the years of unprecedented and pretty much unrivalled economic growth in the 1950s and early 1960s? What about the Wall and the Wiedervereinigung (re-unification) in 1989? This is a unique historic event and defines Germany as much or as little as the war. Can you talk politics? If you are hesitant over this, it will be for a reason. Personal opinion on topics such as politics or religion is as much part of a business meeting as your bank statement. Yet again, if you get to know people better, if you are comfortable and confident and well informed enough to embark on the so-called ‘delicate’ subjects, you can do so in a respectful manner. This would in all likelihood be outside a business meeting, certainly not within the first couple of encounters and probably not at a hotel bar where you may be overheard. The reason? Not everybody may be as considerate and respectful in their approach as you are. Cultural differences are a great opportunity to learn, to widen one’s horizon, to expand knowledge and to embark on new adventures in- and outside business. Being able to converse in another language will open new doors, enrich your life and contributes to success in business. Please contact Karin for details on coaching and training programmes or if you have specific questions.